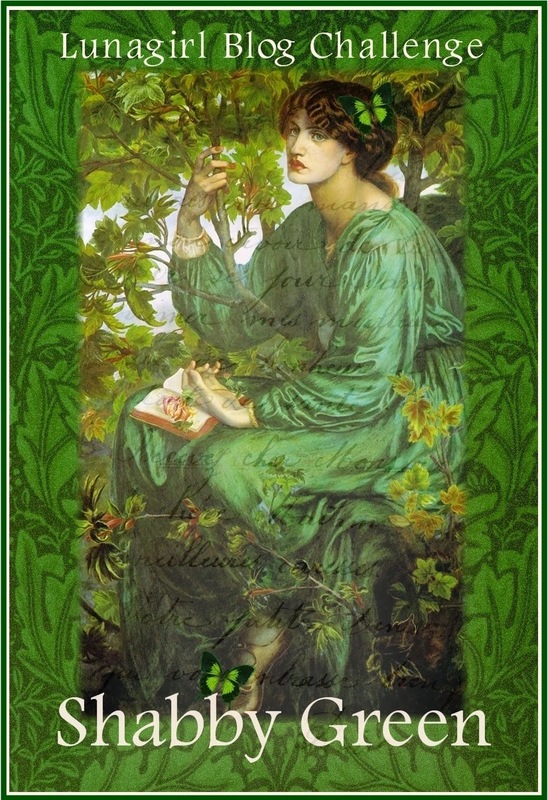 In honor of springtime's green and of course Saint Patrick's Day, for the current blog challenge I've chosen the theme SHABBY GREEN. The winner will be selected randomly to win a $10 coupon for Lunagirl.com! Of course I love if you use at least one Lunagirl product, and I hope you'll go take a look at my collection... but that's not a requirement! However, if you use a Lunagirl image in your creation, you will be entered TWICE in the drawing! I want to welcome everyone and every style but also give a little something extra to my wonderful customers! Enjoy the lovely samples from the Moonbeams Design Team below, and please come link up your own creations. 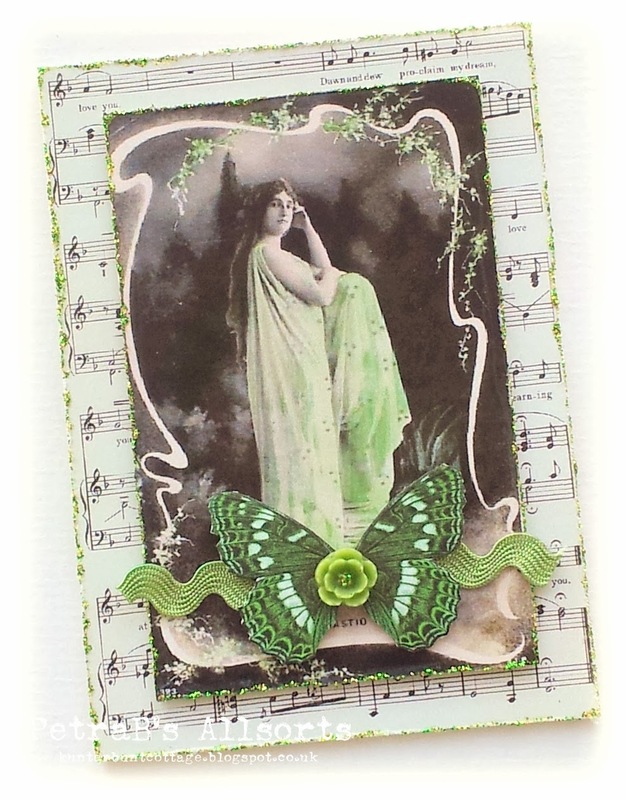 The DT will be working with images from my Lunagirl Shabby Green collage sheet, plus a Lunagirl green background and Saint Patrick's Day shamrock angel. I hope they inspire your own creations -- can't wait to see what you link up! And click here to learn more about my fabulous DT members and visit their blogs! "These images are wonderful and really have such a lovely Spring mood. 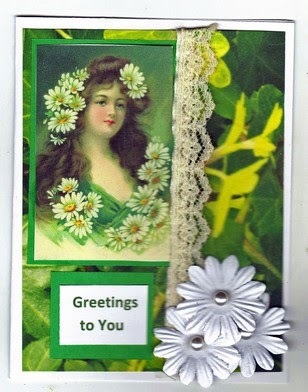 I made a little card using images from the Shabby Green collage sheet embellishing is with some Stickles around the edges, some ric-rac ribbon aand a tiny resin flower." "I placed the LG image on a solid green mat so it will pop from the green background. Beige lace trims the side while flowers in the image are repeated with some in the corner of the card. The sentiment was also printed in green from my computer." Gorgeous tag Mandy. I am a big fan of your paper arts. Lovely cards Petra and Vicki. I love the images you chose to work with, your layouts and your embellishments. Thanks Lunagirls for another fantastic challenge theme. It is just in time for St. Patrick's Day.